Understanding grammar will help you on your way to foreign language fluency. When learning the Russian language, it’s important to know that adjectives are also divided into hard-ending and soft-ending types. Keep in mind when you’re studying Russian grammar that many adjectives have a long form and a short form. The stress on adjectives does not shift. Like nouns, adjectives decline. The accusative is the same as the nominative when the adjectives describes an inanimate noun, and the same as the genitive when it describes an animate noun. The endings of soft-ending and hard-ending adjectives are very similar. Some hard-ending adjectives are stressed on the final syllable, in which case the masculine ends in –ой: большóй, big. The adjectives такóй, such, and какóй, which/what, decline like any other adjectives with a final stress, like большóй. The spelling rule leads to the following ending changes: –ый →–ий; –яя→–ая; unstressed–ое→ –ее: бы́вший, бы́вшая, бы́вшее, бы́вшие, former; высóкий, высóкая, высóкое, высóкие, high. The short form of an adjective is used attributively with the verb to be. Этотчеловéкмóлод,That man is young (the verb to be is omitted in the present tense). Also note that мóлод is the short-form adjective of мóлодой. Short-form adjectives agree in number and gender: онмóлод, онáмолодá, онóмóлодо, они́мóлоды. The short form is also used in exclamatory phrases: Какздеськраси́во!-It’s so beautiful here (“how here beautiful”)! I think she’s always that cheerful. He had problems with his leg, but now he’s healthy and ready to play again. Some adjectives only have a short form: рад(m.), рáда(f.), рáды(pl. ), glad. Adjectives and adverbs have the same comparative form. The compound comparative is formed using the adverb бóлее, more, plus the adjective or adverb: бóлеемолодóй, younger; бóлееинтерéсный, more interesting; бóлеедорогóй, more expensive. нóвый(adj. ), new → новéе, newer. The comparative of adjectives and adverbs that end inг, к, х, д, т, or, less frequently зor с, is formed using the suffix –е, which is never stressed. These words undergo stem consonant shift: the consonant г, дand зshift to ж: молодóй, young→молóже, younger; дорогóй, expensive→дорóже, more expensive. The consonants хand сshift toш:ти́хо, softly →ти́ше, more softly. The consonantsк and тshift to ч: богáтый, rich→ богáче, richer (but not all тadjectives follow this pattern: жёлтый, yellow → желтéе, yellower); легкó, easy → лéгче, easier. хорóший, good, хорошó,well → лýчше,better, best. Comparatives can be accompanied by the construction чемplus the object of comparison in the nominative case: Этакни́гаинтерéснее, чемта, This book is more interesting than that one; Тыговори́шьти́ше, чемя, You speak more softly than I do. Note that there is always a comma before чем. 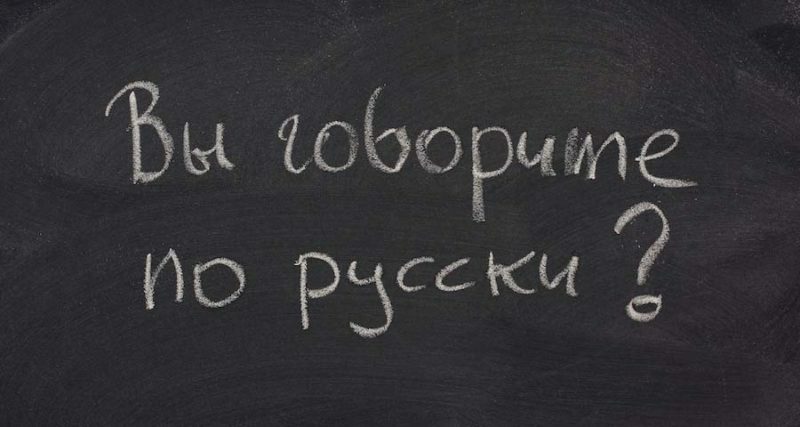 The compound superlatives is formed using the adjective сáмый, the most, plus the adjective (which may be followed by извсех, of all): сáмыйинтерéсныйизвсех, the most interesting of all. интерéсный, interesting→ интерéснейший, the most interesting. бéдная, poor → беднéйшая, the poorest. бли́зкий, near → ближáйший, the nearest. ди́кий, wild → дичáйший, the wildest (the кshifts to ч). This suffix is always stressed on the second-last syllable. Another simple superlative is formed by adding the prefix наи-to the long-form adjective: наилýчший, the best.